Easy edible chocolate cups filled with smooth, creamy, eggless Mint Mousse make for a heavenly minty treat you can whip up in 30 minutes or less. Add a few chocolate chips or St. Patty’s Day inspired sprinkles and you’ll have a hit on your hands. 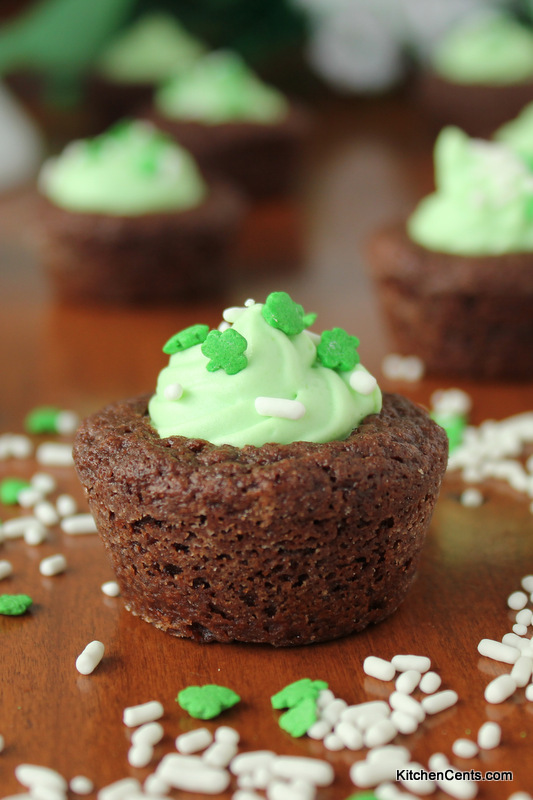 With St. Patrick’s Day coming up I thought it would be a great time to share this fun minty sweet treat. 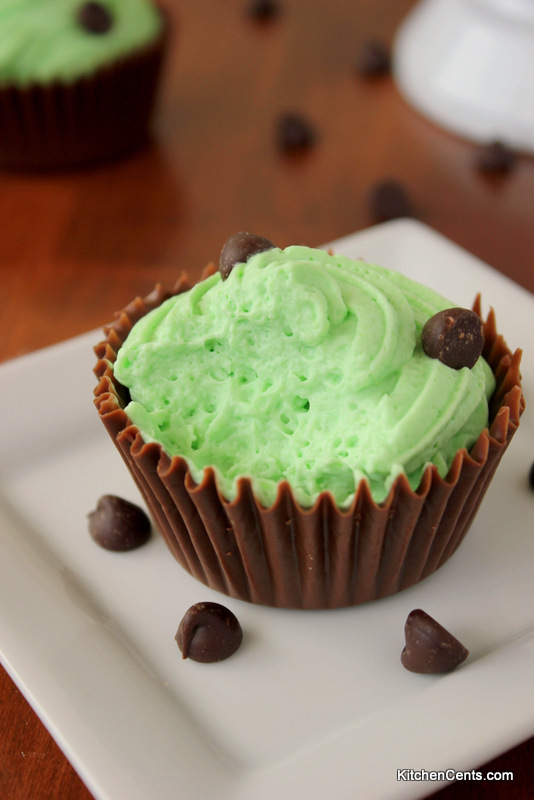 These homemade chocolate cups filled with sweet EASY-to-make mint mousse are a mint chocolate match made in heaven. The mousse comes out so creamy and light. Pair that with an edible chocolate cup… I’m in! This mousse can be ready to eat in about 30 minutes but texturally isn’t fully set until it has chilled for at least 4 hours. 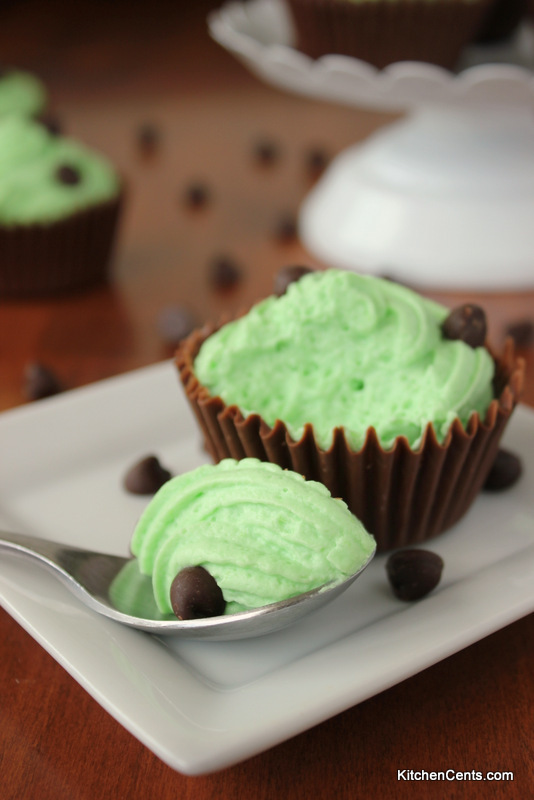 This beautiful light green mint mousse is also great for a lighter frosting on cupcakes or cakes. When I made this batch of mint mousse I also tried it with brownies. It was so good! Recipe to come. I’ll drop a visual for y’all down below. For now, if you want to head right over to the mint mousse recipe, you can find it HERE or by clicking any of the large buttons below. I always get a little nervous when it comes to unflavored gelatin and desserts. I don’t know what it is but it just scares me a bit. Maybe I’m the only one. Haha! I think it has something to do with how gelatin can make or break a dessert. With that said, even though this mint mousse has gelatin in it to help it set, it’s still really easy and quick to make. I have had it come out with little gelatin clumps once before and I’m pretty sure it was because I was in a hurry and added it to the whipped cream to fast. Learn from my experience and take your time (at least when you add the gelatin to the mint mousse base). If all goes well you’ll end up with this beautiful mint mousse fluff! My kiddos loved it! I used the Creme De Menthe for the mint flavoring. It’s the same kind of mint flavor an Andes Mint has. It’s a more subtle sweet peppermint. Sometimes when I use peppermint as a flavoring, my little BooBaw says it’s “too spicy” so we tend to go for Creme De Menthe. The homemade edible chocolate cups were so fun too. I always think of Willy Wonka and the Chocolate Factory (the old one) where Willy Wonka drank from the teacup then ate it. So awesome! As a kid, I always thought that was the coolest part of the movie. 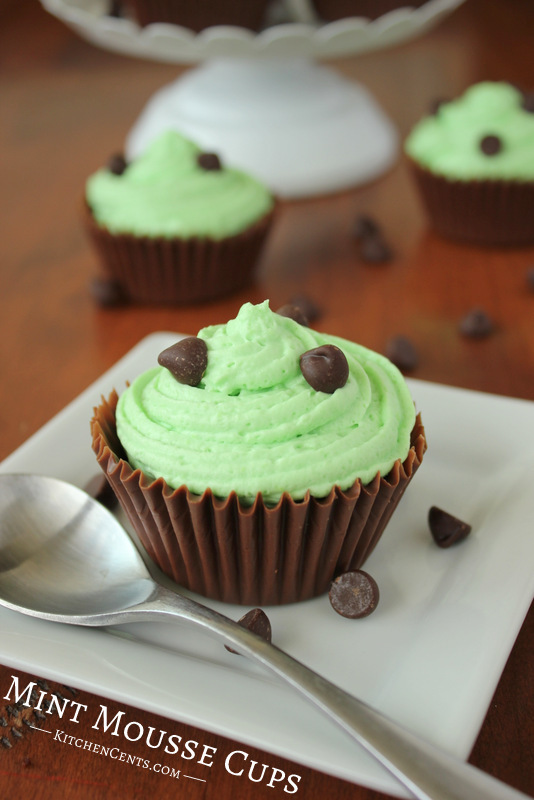 I have a note in the printable recipe card that explains how I made these chocolate cups. Here’s the yummy brownie treat we made with this mousse. They were so good! Recipe to come before St. Patty’s Day. What’s your favorite minty sweet treat? Perfect for St Patrick’s! Thanks for sharing.